This was my most recent read for my in-person book club and I have to admit that I didn't expect to like it. It wasn't anything to do with this book, it just seemed a bad time of the year for me to read a book that I thought would require a lot of brain power (you know, the end of the school year. Parents will understand that!). I was pleasantly surprised that this book read easily and that I didn't find it taxing and, ultimately, enjoyed it more than I thought it would. There are two stories in this book--that of Lilian's father, Gary, who is a Chinese spy operating in the US in the mid-20th century, and Lilian's contemporary journey to track down her Chinese family she never knew. These two stories are expertly entwined and I can't separate them enough to say if I liked one better than the other. Gary is a fascinating character. He definitely isn't your typical spy and he blends in well in the United States. In many ways, this book reminded me of the TV show The Americans (even though I'm only a few episodes into it), except that Gary never hates the United States. Instead, he develops a genuine affinity for the US and sees his spying as advantageous for both countries. 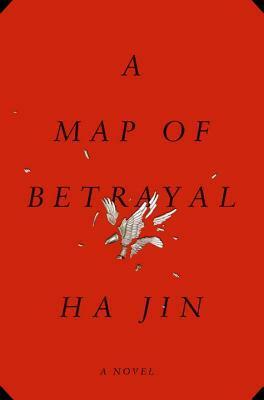 The contemporary plot--that involving Lilian's search for her Chinese relatives--clearly evoked China for me. However, it was not the almost lyrical China of the Empires that I'm used to. Instead it was the harsh reality of the cinder block world of Communist China. This was an adjustment for me, but I think it was a good one for me to make. What Jin presents is a reality, one that I think most Americans have yet to face. I did find one thing frustrating when reading this. The reader knows how Gary's story is going to end, but it seems like we never get there. When we finally get to that point, it seems rushed and very little is actually said about it. I believe that if Jin had expanded on this point it would have resulted in a more well-rounded story. While I found this to be a satisfying read, I should also put out that not everyone in my book club enjoyed this book. Some of my cohorts found it dry and dull while others were never able to connect with the main characters. I share this only to give fair warning that this is a book that will affect readers very differently. Personally, though, I found it well worth the time and effort to read.